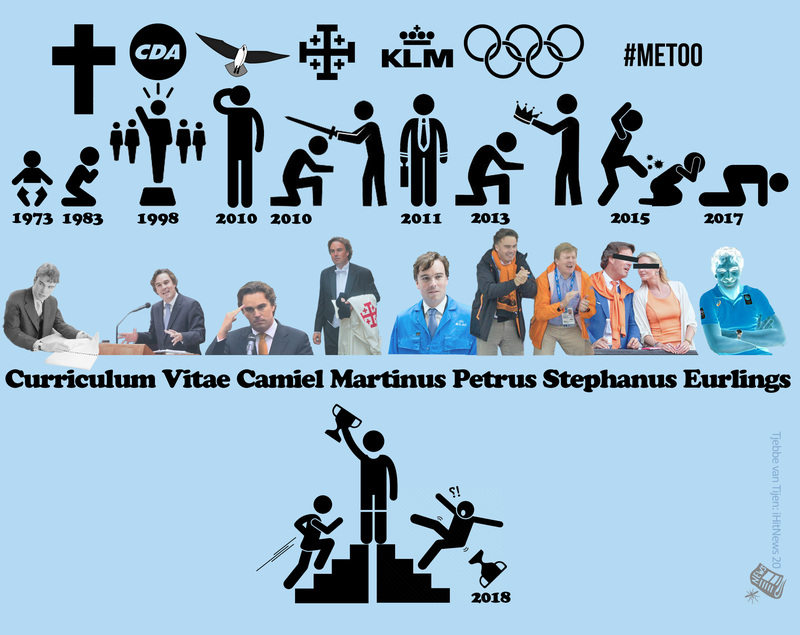 For those not in the know of Dutch politics… Eurlings made a well known appearance as a top Christian Democrat (CDA) politician at the congress of his party where a decission had to be made wehther or not the CDA would form a minority coalition government based on collaboration with the PVV party of Geert Wilders (as a non-government external support). There had been fierce opposition among CDA party-members against this unusual construction and Eurlings made a speech in which he spoke out a full support for this coalition which had been prepared by party leader Maxime Verhagen, building his argument on an earlier example of a right-wing populist coalition of the CDA party with the Party of Pim Fortuyn (LPF) (Fortuyn had been murdered just before the elections and his new populist Dutch nationalist party won a great victory). Camille Eurlings copied the emblematic gimmick of Pim Fortuyn during is election campaign in 2002, where he used to salute like a military men and shout “at your service.” The copy-cat salute by Eurlings was an example of gesture demagogy, typical for his public relation campaign style… of course reality was is and will remain that he is only concerned with being @ his own service.